>>Will SugarMoney be able to keep playing with you? Yeah, I mean these guys, we’re family. We’ve been playing and doing tour stuff together forever and I don’t see any reason for that to stop. I’ve always said my brothers and I will be playing whether in places like here or in arenas. It’s really up to you guys. If you cats come out to see us then we’ll be here. First we as a group here in Jacksonville want to say we are very proud of you and all you’ve accomplished. Second, what was Simon Cowell really like? Oh well we used to sit around and eat cheese dip and drink martinis together. No, not really. He was really cool. He’s got one of the best points of view on the show. They’re all great. I think everyone’s figured out the formula. I’m not really letting the cat out of the bag. You’ve got the cat that’s groovy, then sweet and beautiful Paula and then you’ve got Simon (said dramatically). It’s a good formula, it really works. They make a good team. You don’t want to say it’s an act because trust me, if you see that many people a day you can’t act like you don’t like people, it’s genuine. No, he’s really a cool guy. I guess it’s just a matter of what day you catch him on. He then related how Simon caught Shane leaning against his Bentley one night smoking and said it was not good. Do you have any regrets about any of this and how long do you hope to continue a singing career? 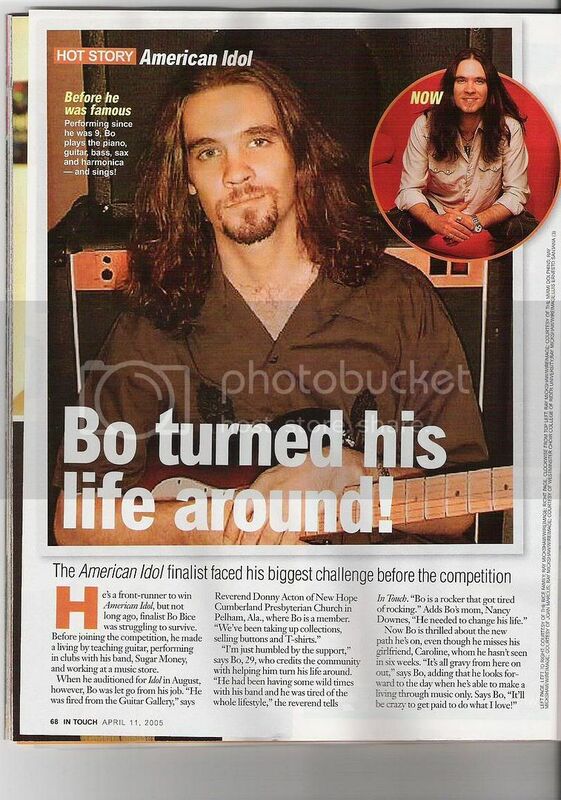 Bo did a piece of My Way. Oh regrets, I have a few, but I did it sideways. Thank you, thank you, I wrote that myself. I need some royalty money. Um, I don’t have many regrets. In everything I’ve done in life many times I’ve made mistakes and messed up royally. I just truly believe in forgiveness and the strength of love, you know, so no regrets. On the other (unintelligible) the same reason I have a love for this music and being able to come out and do this with you guys. I’ll keep doing this until you guys stop coming. There will be like one here and one there and me with a really bad weave or a combover. DJ comment: (Laughing) You could do this full time. Um, I think, it’s hard to choose, there’s so many good ones, but I really love Valley of Angels. It’s one of those songs I look forward to playing every night. Probably because it was such a settling time in my life when I wrote it, and then to see it evolve into what Clif made it into in production. It was very special. I can vividly remember hearing it for the first time when he brought it back to me. 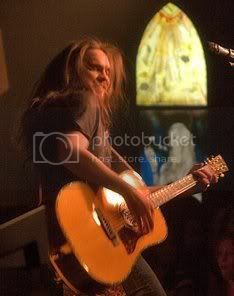 Before, it was just an acoustic song, me sitting with a guitar and playing it for him and then him taking it to a whole ‘nother coast and bringing it back with a vocal part and a guitar part. It was just awesome, because I think being a songwriter and wanting to create, I think one of my faults and something that I’ve tried to accept, you tend to be a little more closed-minded to what you write. So opening up to being a little more vulnerable and allow someone to come in and help me produce instead of being the guy who has to have his fingers pressing all the buttons. It was magnificent, it was truly great. I was a big part of the song, yet I felt like such a minute portion of it when I got it all put together. It’s just a well composed and beautiful song. I look forward to playing it every night. I was just thinking about sdstns today, and our little misunderstanding, you know when she referred to me as ..."oh her, yeah she's a big fan of this site. (referring to BFB) I sorta took it like , "yeah, her, well, whatever...she's around and well we put up with her" 'cuz I know how wimmen can be. Which is a dominant reason I hang with predominantly guy pals... We're Ok now I guess, good interview tapes on her part and cool she's into sharing... Rock on. Sunny Skies and Much Love. Hey guys, check out site mention. I'm a writer and a blogger. I have a few different blogs under my belt, I also have some freelanced published articles I have written on various topics. 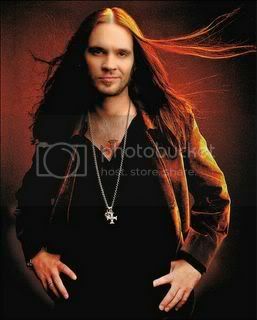 My very favorite blog hobby is chronicling my favorite musical artist, Bo Bice. 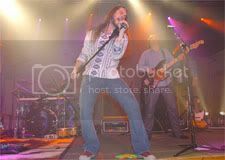 I certainly am not the best in the way of Bo Bice sites on the web, that honor probably belongs to BonaFide Bice, but it makes me happy just the same. 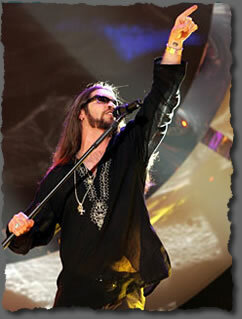 You can find my other blog at http://www.bobice-bolieve.blogspot.com. I state in my blog that's how I took your comment, but I understand now that is not how you meant it; I basically got it wrong. No big deal. different things to different people, I took it wrong, like you were being dismissive when you weren't at all. 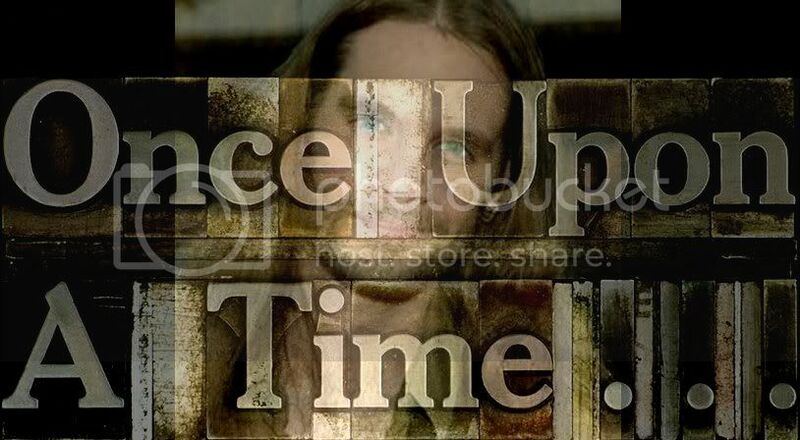 I thought it really generous and very promoting of you for Bice, sharing what you did, (I know you've shared like this before and it is really appreciated. Thanks Jewels. I enjoy your blog for the same reason I was drawn to BFB. You're an excellent writer and I'm an avid reader. I've also linked some of your material at BFB in the past. Keep up the good work! Have you heard of "Shinedown"? They are from the Jacksonville, FL area. He's not as good a singer as Bo or as adorable but gave a really hot performance at the Nokia.